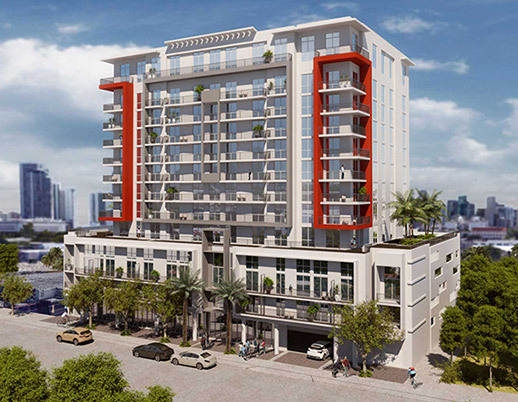 25 Edgewater Residences is a 12-story boutique building featuring 93 units ranging from studios to one, two, and three bedroom residences from 690 SF to 1570 SF. Fourth-floor units will have very spacious terraces of approximately 970 SF. The project will also feature assigned parking spaces, and a wide variety of amenities located throughout three of the building’s floors. 25 is a project for those who live, work, and play in the center of Miami’s urban core. It allows residents to enjoy a lifestyle that is both luxurious and fully integrated in the surrounding community.